Using eBay’s search visibility analysis tool can help your performance. While Best Match has been around long enough now to have become a regular part of eBay life, if you’re a seller hoping to optimize your Best Match standing, you no longer need to rely on guessing games related to your Dashboard to see how you’re performing. 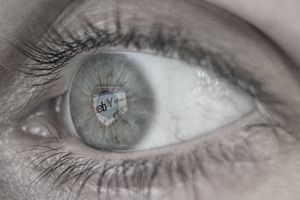 eBay's search visibility analysis tool will clarify matters for you. Enlist in Selling Manager. Add the now free Selling Manager tool to your eBay selling account. Choose an item number to examine. Highlight and copy (using your “Edit” menu or Control-C on your keyboard) an eBay item number from one of your listings. Scroll down and click on “Search visibility analysis.” The link is located at the bottom of the page in the box titled “Favorite Links,” or you can simply visit the tool directly. Paste your item number into the “Item number” box. Use your “Edit” menu or Control-P on your keyboard to paste the item number into the box. Click “Run report” to see how the listing stacks up. You’ll be shown a page full of data that can help you to make sense of the item’s Best Match performance. The results page gives you a series of facts about your listing and your status as a seller that indicate how your item is currently performing in eBay searches. Next to many of the items in the results are small question mark icons that you can click to get more information. Free shipping boost: This item tells you whether the listing has been given a boost because it offers free shipping to purchasers. Seller performance: This item indicates whether your search placement has been affected by your recent performance as a seller, especially as related to Detailed Seller Ratings. Impressions: This item shows how many times your listing has been returned in the search results. Unique click-throughs and click-through rate: These items show how many people have actually clicked on your listing in the search results. Sales as a percentage of click-throughs: This item shows (for multiple item listings only) how many click-throughs have resulted in a sale. To see how your listing stacks up in comparison to others for a particular search, enter a keyword from your item’s title in the “Find your listing’s rank by keyword” section at the bottom of the tool. You’ll be shown your search rank and the statistics of all the matching items that appear on page one of users’ search results when they search for that keyword. Together, all of these items give you a starting point for understanding how to raise your search ranking for the item in question. Offer free shipping. If you don’t already, offer free shipping since this can raise your Best Match search ranking. Maintain great DSR stats. If the tool indicates that your seller ratings are hurting your search placement, you’ll have to improve your customer service in the standard Detailed Seller Rating categories to improve your placement. Work on your photos and titles. You’ll benefit in search placement the more people who see your listing in their search results actually click on it after seeing your photo or reading your title. If these numbers are low, work on better photos and getting your titles right. Improve your sales rate. This may mean cutting margins a little in some cases, but it can pay off in increased sales thanks to an improved search placement. eBay rewards listings with high sales ratios (more people buy once they actually click through to the listing) by placing them more prominently. Try to match first-pagers. The search tool at the bottom of the page gives you an idea of how highly-placed listings similar to yours are different from you in terms of price, shipping costs, and other factors. If your goal is to get on the first page, use them as a guide.